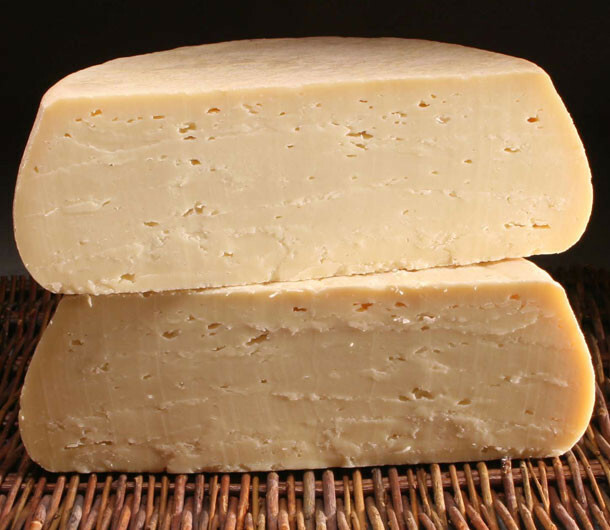 Seal Cove Farm in Lamoine, Maine make this aged, crumbly goats' milk cheese. The flavor is bright and clean, with a lingering fruity and slightly mineral finish. As the cheese ages, it is washed with salt water brine, giving its rind a slightly golden tinge of color. The flavor takes on sweeter, maltier notes as the cheese matures, making Chevrotin a bit of a shape shifter, intensifying with age. The wheels age anywhere from 3-12 months.